It’s understandable that startups can be self-absorbed since designing, producing and marketing a new product requires full concentration of the startup team to ensure success. But in addition to the demands of a startup, plus running a highly successful Kickstarter, Cambridge, Massachusetts-based GeoOrbital has made the effort to support local Boston non-profits, including one in the 3D printing space. GeoOrbital has donated one of their cool bicycle wheels to the Lend a Hand 3D Printing prosthetic program fundraiser on Social Seam. Just by Endorsing, Sharing and Inviting friends to the Lend a Hand fundraiser, you will be entered to win a GeoOrbital bicycle wheel with a retail value of $950. The wheel replaces most standard bicycle front wheels turning your bike in under 60 seconds into a powerful electric bike that can go 20 m.p.h. Of course, you are also welcome to make a contribution to the Lend a Hand fundraiser! 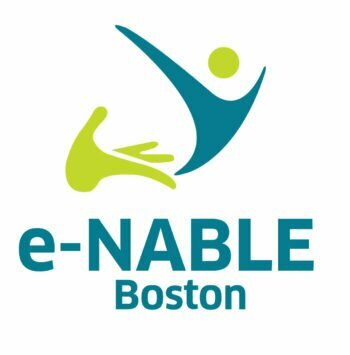 The funds will be used to purchase 3D Printers, assembly kits and 3D Printing material for the e-Nable Boston group of volunteers who make and assemble hands, then give them away to recipients in need at no cost. 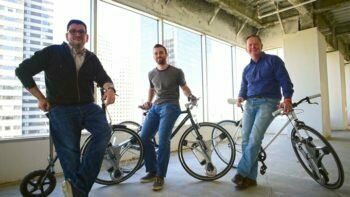 For more information on GeoOrbital and the innovative bike wheel please check out their Kickstarter page! Such a generous startup deserves a “whirl” of success. NOTE: GeoOrbital Wheel will be delivered once they are in production. Estimated production time end of 2016. If you are the receiver of the giveaway you are responsible for the delivery cost if you live outside of Boston.